Oh, this was fun sewing! 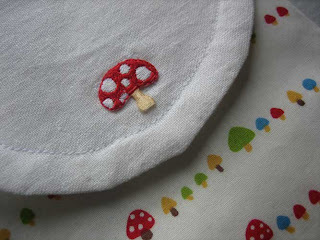 And I love the fabric and the little mushroom patch from Superbuzzy! 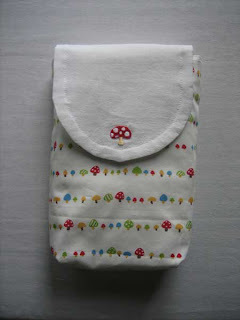 The case holds 2-3 diapers and a travel pack of wipes. I think I will do a couple more of these diaper cases, there are three babies coming in a period of six months in our family!!! 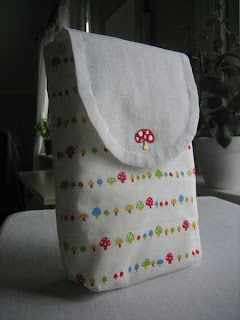 Yesterday I sewed; I haven’t been crafty for a very long time. It felt very good. 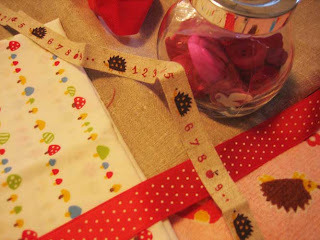 I sat at the kitchen table dreaming about my little crafty corner in our bedroom. I found a table to have there but I need to paint it first and find some storage for all the fabric, brushes and scrap booking paper and other stuff. I really look forward to decorate my little crafty corner! This painting is hanging on the wall at my crafty corner. 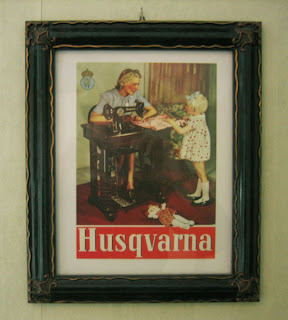 I have a sewing machine just like the one in the picture, it was my grandmothers.